Just about everybody has one raging narcissist to deal with, sooner or later — on the job, in social situations or (God forbid) in the home. How did he get this way, we wonder? What was his childhood like? For what appears to be the first time, researchers have taken a stab at that question by following and surveying 565 children ages 7 through 11 and their parents — 415 mothers and 290 fathers. The results are quite clear: Parents who “overvalue” children during this developmental stage, telling them they are superior to others and entitled to special treatment, are more likely to produce narcissistic children — who can grow up to become narcissistic adults, unless something is done about it. This seems to make sense intuitively, but as the authors — Brad Bushman of Ohio State University and Eddie Brummelman, a post-doctoral researcher at Holland’s University of Amsterdam and Utrecht University — point out, this was not the prevailing explanation all along. Psychoanalytic theory suggested that narcissists were the result of parents who showed them too little warmth. So Bushman and Brummelman pitted social learning theory — the idea that you learn through modeled behavior — against the psychoanalytic argument and found that, indeed, children learn their narcissism from parents who teach them that they are more than special. The authors also wanted to determine what differentiated narcissists — who tend to be more aggressive and even violent than other people, and are at higher risk for depression, anxiety and drug addiction — from people with strong self-esteem. As mentioned above, parents who show their kids warmth and appreciation without promoting the idea that they are superior tend to raise children with solid self-esteem. 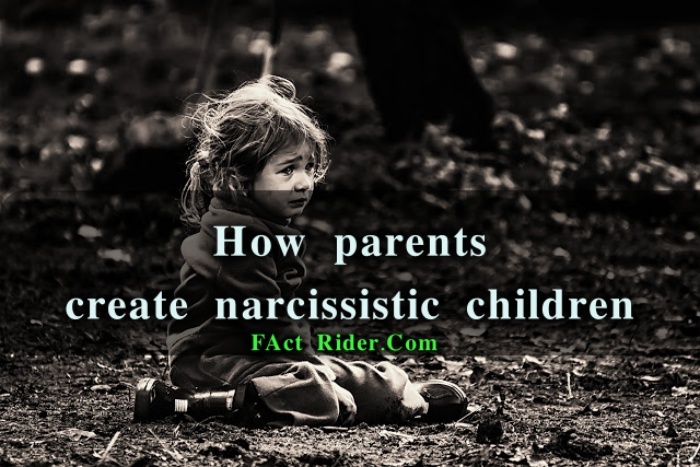 Previous studies have looked at narcissistic adults, but in 2008, Brummelman said in an interview, reliable testing instruments became available for young children. By the age of 7 or 8, he said, children develop the ability to describe whether they are happy with themselves and are very likely to compare themselves with others. “It’s an age when they may be especially sensitive to parental influence,” he added. So can anything be done to halt this process? Brummelman said yes, both during the ages of 7 to 12, when the sentiment develops, and later. “Perhaps we can develop a way to help parents convey affection and appreciation for a child without necessarily putting a child on a pedestal, without telling the child he is better than others,” he said. Lenny Bernstein writes the To Your Health blog. He started as an editor on the Post’s National Desk in 2000 and has worked in Metro and Sports.